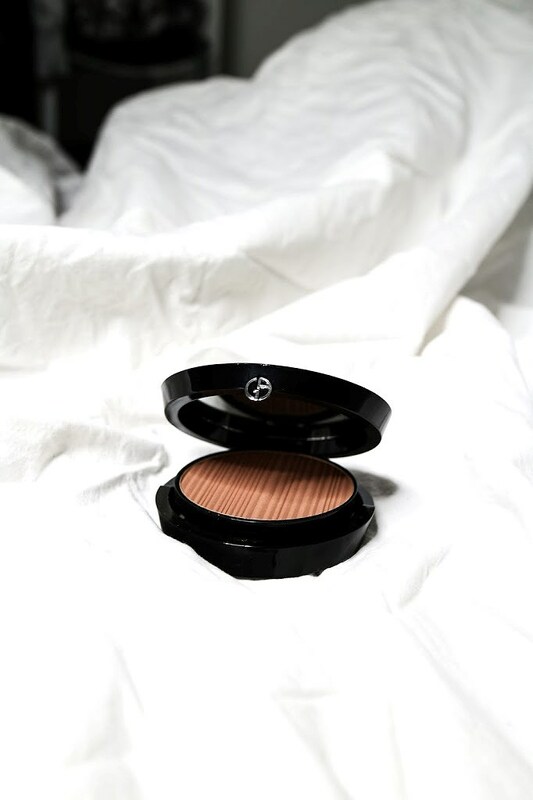 I love discovering new favorites, and the Giorgio Armani Sun Fabric Bronzer is one of the newest favorites in my makeup collection. Face products, and especially cheek products are some of my favorite makeup products to purchase. I love bronzing up my face, and I never go a makeup look without applying a type of bronzing product to my face. 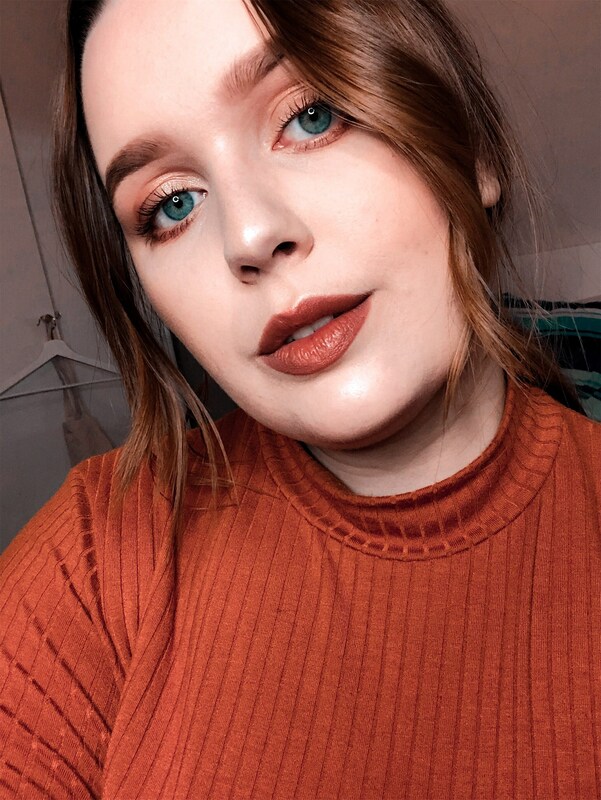 I have been wearing this new favorite bronzer non-stop lately, and it surprises me every time how easily it blends in to the skin and how natural it looks. 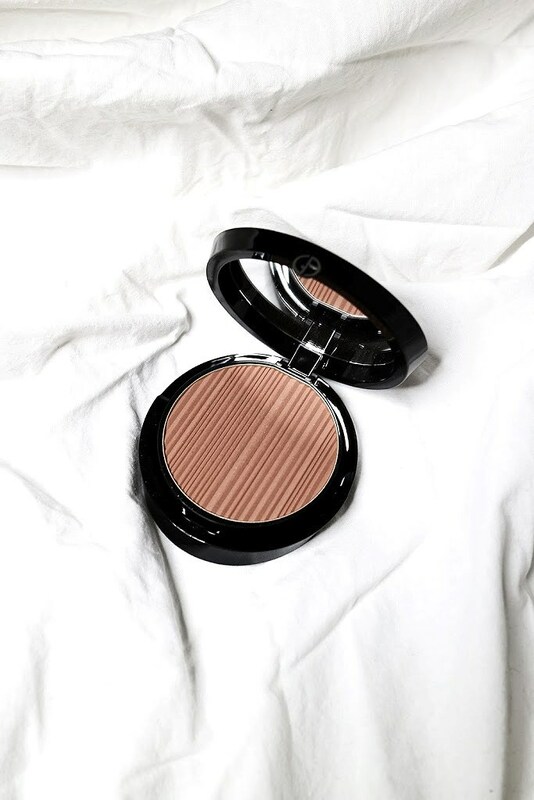 The Sun Fabric Bronzer by Giorgio Armani is a sheer velvety-soft bronzing powder that gives a natural sun-kissed glow to the skin. The bronzer comes in four different shades, and I have mine in the lightest shade 100, which is a perfect shade for my pale skin. This bronzer if definitely a dream bronzer of mine - I love the glowing, yet natural finish it gives to my face, the neutral brown undertone, and it blends like a dream! The packaging of the bronzer is so gorgeous, and I love the texturized design of the product itself. The bronzer comes with a tiny rounded flat brush, which is something I haven't tried out as I'm not a huge fan of those brushes. The bronzer is more on the pricey side at $54/430NOK, but I definitely think it's worth it as a little goes a long way with this one. If you're on the look for a new bronzer and wouldn't mind spending a bit more of money for great quality, I would so recommend you to check out this bronzer! What are your opinions on the Giorgio Armani Sun Fabric Bronzer?